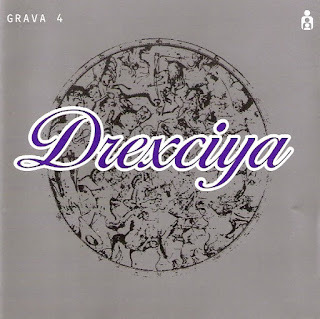 Clone's Aqualung label will be reissuing Drexciya's epic, Grava 4, album on double vinyl soon. This was their final album and was originally released on 2LP and CD in 2002 on Clone. It currently sells for at least €55 on Discogs and is another very welcome reissue for fans new and old. So far this video has been posted on Clone Facebook page. Here is a link to an extensive article I wrote about the album for DRL back in 2005. To order from Clone keep an eye on this link. Dopplereffekt have just been confirmed to be in the line-up for this years Dekmantel festival in Amsterdam, Holland (2nd - 6th August 2017). They have played at this much loved event previously in 2015 and maybe even before. Two Arpanet shows have been announced! They will be part of Clone's very special, 'Return to the Future', show in Amsterdam, Holland on 31st March (see promo text below). They will also be playing live in Paris, France on 3rd February with DJ Stingray on the bill. Mark Fisher, the music writer and political theorist has died. Here is a link to the full transcript of an interview he did with Mike Banks for a UR cover story in The Wire back in 2007 (see text below). More links about and connected to Mark in comments. Lake Haze have a Drexciya tribute track, 'Drexciyan Aquarium', on their powerful new EP, Intergalactic Communicationz, on Creme Organization. Lake Haze (which itself is the name of a Drexciya track from Harnessed The Storm) is producer and DJ Gonçalo Salgado from Portugal. Listen and purchase at this link. Another quality new Drexciya mix from the Mixcloud. This is a full length video of Dopplereffekt playing live in Gothenburg, Sweden on November 5th 2011. Sadly the sound distorts a bit but otherwise it's a great document of their live show of the time and you can really see what Mueller is up to on the keyboard.